Having spent much of yesterday in a car showroom I was taken by how ordered it all was. It took me back some years to the eve of new reg day when I was a salesman and I had more cars to deliver on the morning of the first than this dealership had for the whole of the first week! Things certainly ain’t what they used to be, that’s for sure! But I guess if buyers are less worried about having the first 61 plate car on their road that’s because the diluted system has been designed to do just that and as a result and is clearly working by design. I am assured the level of service and time spent with customers has increased as a result of their being less pressure on delivering thousands of cars in such a short space of time. However I bet its nowhere near as much fun. The other thing that suddenly struck me was how cars are all starting to look so much alike; they may very well be much better built, go wrong far less often and have far superior warranties and better spec as standard but again are they as much fun as they used to be? 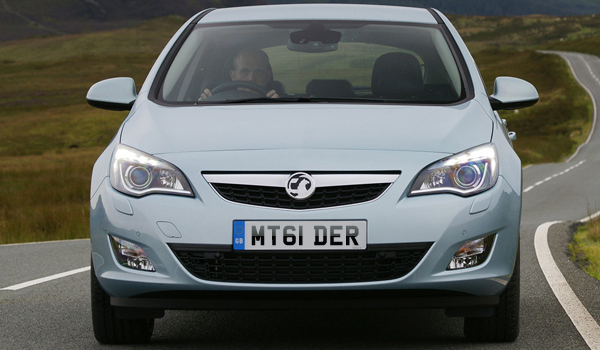 Can anyone really tell a Vauxhall Astra from VW Golf or a 308 from a Focus? De-badge them all and would your average punter be able to tell the difference? A lot of nervous car dealers about as September approachesWhy does everyone want to be a motor trader?